The Board has determined this event will be a series of "Round Robin" matches to enable maximum participation and to maximise people's opportunity to participate in lots of matches. The final format will be published here closer to the event. Depending on timing and numbers in each division, quater-finals MAY be conducted. 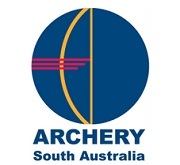 The four (or eight) archers in each division with the highest number of points at the end of the round-robin matches will progress to the finals. Medals will be presented at the conclusion of the event.